Open phone book. Start in the A’s. Dial 100 phone numbers. The next day, continue where you left off the day before. That would be cold calling for real estate agents in the olden days (and the strategies some coaches still teach new Realtors). Most of today’s Realtors don’t use those exact tactics, but they probably would if phone books were easier to come by. Real estate agents use other similar methods to try to generate business. Rather than calling from a phone book, Realtors sometimes buy leads from services that pretty much photocopy phone numbers from the White Pages. Or Realtors send prospecting postcards to every address in a given area. How effective are those methods? Are each of those methods a success if they return a 2x Return on Investment (ROI)? A 10x ROI? Or maybe the Realtor is happy if they just break even because they are just trying to build their list right now. Regardless, working with unqualified leads is difficult. Those leads start out cold and they tend to stay cold. On the other hand, leads from a Realtor’s website are qualified leads. Those leads are hot. Those leads are interested in talking to a Realtor, discovered they like the Realtor based on the information they found on the Realtor’s website, and they contacted the Realtor for more information. The only thing missing from these leads is the gift wrap and the bow. Real estate agents who have quality websites that are able to generate traffic no longer have to purchase cold lead lists and can reduce their spend in other prospecting strategies that don’t work well. These Realtors have leads coming to them. These good leads give the Realtor their email address and phone number through the Realtor’s website and actually ask the real estate agent to contact them. Sound too good to be true? Agent Sidekick can help you get started with a lead generating website. We uncomplicate Realtor websites. We uncomplicate Realtor branding. 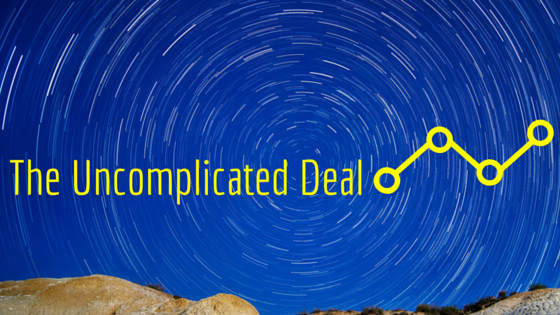 We uncomplicate Realtor lead generation. And we uncomplicate Realtor marketing. Just drop us a note so we can tell you how.